Question #1: You made a bracha on a cup of tea and sipped it, and then decided it needed more sugar. Do you need to make a bracha on the extra sugar? Question #2: You cooked a delicious vegetable-barley soup. What bracha do you recite before eating it? Does it make any difference whether you want to eat the barley? 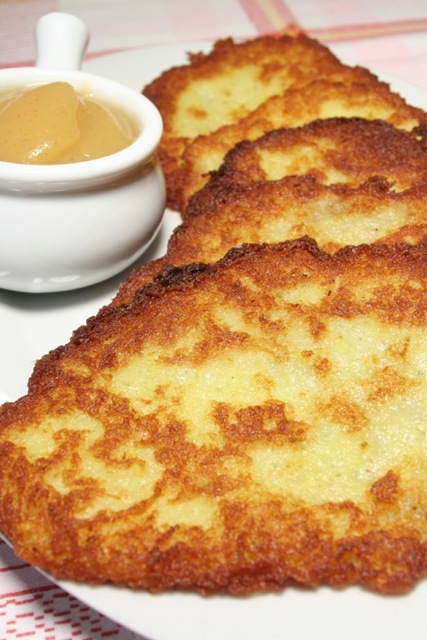 Question #3: I eat my potato latkes with apple sauce. How many brachos and which ones do I recite before eating them? Does it make a difference if I finish the latkes but am still eating the apple sauce? The main theme of this week’s parsha, Balak, is mankind’s ability to recite berachos, and the opposite, and creating proper priorities in how we use this ability. This is certainly an opportune time to examine the complicated rules governing how we prioritize the brachos on what we eat. We apply the rules governing ikar and tafeil, literally the “primary” item and the “secondary” one, numerous times throughout the day. Whether we are eating cereal, fruit and milk for breakfast, macaroni and cheese for lunch, chicken with rice for supper, or snacking on an ice cream cone, these halachos apply. It definitely behooves us to be sure we are applying the halachos correctly. The Mishnah (Berachos 44a) which discuss brachos recited before eating states, “This is the rule: Whatever is primary and is accompanied by something secondary, one recites the bracha on the primary and absolves the secondary item.” Thus, the secondary item does not receive its own bracha, but is included in the bracha of the primary item. WHAT CONSTITUTES AN IKAR-TAFEIL SITUATION? There are two general categories of situations included in the halachos of ikar and tafeil; (1) when the ikar is an enhancer and (2) when the two items are combined in a mixture. (1) Enhancers: This category includes food items where the tafeil food makes the ikar food tastier. Some common examples include: Cereal with fruit and milk; eating latkes with apple sauce; stirring herbal tea with a cinnamon stick; breading fish or meat (schnitzel). In all of these cases, one recites the bracha for the ikar; that is, the cereal, latkes, tea, or meat; and the tafeil is included – that is, the tafeil item loses its bracha. The category of enhancers also includes cases where the ikar is too spicy or sharp to eat alone. Thus, eating a cracker or piece of bread with a very sharp food to make it edible is a case of ikar and tafeil and one recites the bracha only on the sharp food (Mishnah Berachos 44a). We should note, however, that the tafeil item loses its bracha only when one eats it together with the ikar or afterwards. But if one eats the tafeil before one eats the ikar, one does recite a bracha on the tafeil. Thus, food eaten before schnapps to soften its “bite” requires a bracha since one is eating it before the schnapps. When this situation occurs, the poskim debate what bracha one recites on the tafeil. (2) Mixtures: This category includes cases where one food is not specifically enhancing the other, but both foods are important. For example, someone eating macaroni and cheese, blintzes (they always contain a filling), cholent, kugel, or stew is interested in eating all the different foods that comprise the dish. The same halacha applies when eating soups, which may contain vegetables, meat, noodles, barley, or flour. In these cases, all the food items eaten are important and none of these ingredients serve only to enhance the rest. However, the food in these cases are mixtures they are considered one complete food item and therefore only recites one bracha for the entire food, although it contains items that eaten separately would require separate brachos. Thus, the concept of ikar and tafeil is very different here – it is the rule used to determine which bracha we recite on this food. In this case, the bracha of the ikar is the bracha on the entire item. WHAT DETERMINES THE BRACHA ON A MIXTURE? There are three rules that determine which bracha to recite on a mixture. 1. If one of the items in the mixture is clearly the most important, then that item determines the bracha (Pri Megadim, Pesicha Koleles, Hilchos Brachos s.v. HaTenai; Mishnah Berurah 212:1). For example, the bracha on chicken soup with vegetables is shehakol since the chicken is the most important flavor component in the soup. However, if it is a vegetable soup with some meat added for flavor, the bracha would be ha’adamah (Shulchan Aruch, Orach Chayim 205:2 and commentaries). 2. When there is no most important ingredient, the bracha is usually determined by the majority item in the product. Thus, the bracha on a peanut bar containing peanuts, honey, and sugar is ha’adamah since peanuts are the major ingredient, and the bracha on a tzimmes consisting of prunes and sweet potatoes depends on which item is the major ingredient. 3. However, when the mixture contains one of the five grains (wheat, barley, spelt, oats, and rye) then the bracha is usually mezonos, unless the flour or grain product is included only to hold the food together (Shulchan Aruch 204:12; 208:2,3). Because these grains are important, they are the ikar of the mixture even if they are a minority component. Therefore, the bracha on a trifle containing cakes and ice cream is mezonos even if there is more ice cream than cake, since the cake is a grain product; whereas the bracha on potato kugel that contains flour, bread crumbs, and/or matzoh meal to provide texture is ha’adamah. Since the grain product here functions only to hold the kugel together, it is tafeil and does not affect the bracha. Similarly, flour added to thicken soup is tafeil (Mishnah Berurah 212:1). When the flour provides taste or makes the product satisfying, then the flour is the ikar and the bracha is mezonos (Shulchan Aruch 204:12; 208:3). 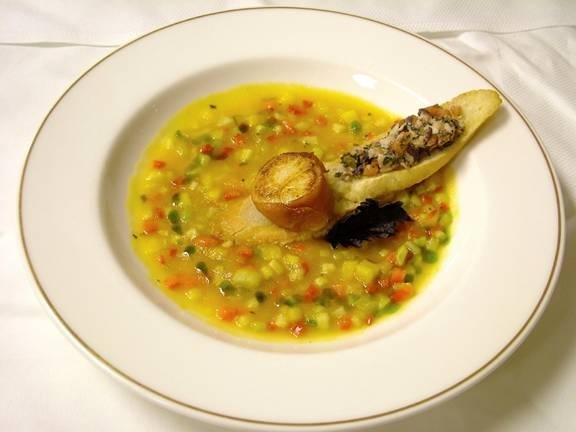 Similarly, the bracha on vegetable-barley soup is mezonos. However, if the barley is completely dissolved, the bracha on the soup is usually ha’adamah. Similarly, if you do not want to eat the barley but a few pieces ended up in your portion anyway, the bracha is ha’adamah. The same rules apply in the case of licorice candy whose bracha is shehakol even though it contains a significant amount of flour, since the flour is there only to give it a stiff texture. On the other hand, the bracha on kishka is mezonos, since the main ingredient is the flour. Until now we have been discussing situations when you are eating the ikar and tafeil together. What do you do if you are eating the tafeil item either before or after you eat the ikar? A tafeil loses a bracha only when it is eaten together with the ikar or afterwards, but not when it is eaten before. Again, the reason for this becomes fairly clear once we think about it. A tafeil’s bracha is subsumed by the bracha on the ikar. This helps us as long as one has already recited the bracha on the ikar. However, if one has not yet recited the bracha on the ikar, how can one eat the tafeil without reciting any bracha at all since we are forbidden to benefit from the world without first reciting a bracha? Thus, it must be that we recite a bracha on the tafeil when eating it before the ikar. However, this does not tell us whether the bracha on the tafeil is the same bracha one would usually recite on it, or whether it is automatically reduced to a shehakol. Let us say that someone is going to drink a powerful beverage or a very spicy pepper, and in order to tolerate it, he is first going to eat some bread or crackers. What bracha does he recite on the bread or cracker? The Rama (212:1) rules that one recites a shehakol on the bread or cracker! WHY DOES THE CRACKER LOSE ITS BRACHA? The Rama’s ruling is based on an earlier psak of the Terumas HaDeshen, who discusses a case of someone who wants to drink wine, but can not drink the wine on an empty stomach. Therefore he eats some seeds whose bracha is usually ha’eitz before imbibing the wine. The Terumas HaDeshen rules that he recites a shehakol on the seeds since he is not getting his primary benefit from the fruit (Darchei Moshe 212:2). However, the Beis Yosef disagrees and rules that he should make ha’eitz on the seeds. On what concept is this dispute dependent? One could explain that this dispute reflects two different ways of explaining why one does not recite a bracha on a tafeil. The Terumas HaDeshen contends that a tafeil is unimportant and therefore does not warrant a bracha, however, one cannot benefit from this world without a bracha — therefore one recites shehakol. On the other hand, the Beis Yosef holds that the bracha on the ikar counts as the bracha on the tafeil and therefore one does not need to make a bracha on it- but if the tafeil were to require a bracha, it does not lose its status or its bracha. What do you do if you finished eating the ikar, but you have not yet completed the tafeil. Do you recite a bracha on the tafeil since you are no longer eating the ikar, or do we say that the bracha on the ikar still suffices? For example, you finished your cereal, but there is still some milk left, or you finished the barley of the soup, but there is still more soup to eat. Do you recite a new bracha on the rest of the soup? The halacha is that if you finished the ikar first, and a small amount of tafeil remains, one does not recite a bracha on the remaining tafeil. However, if a large amount remains, one does recite a bracha (Mishnah Berurah 168:46). The question here is that the sugar is tafeil to the tea, but can it be a tafeil when it was not in front of you when you made the bracha? The halacha is that if you begin eating something and afterwards decide to eat a tafeil food alongside, the tafeil requires a bracha- but only shehakol (Mishnah Berurah 212:4). This is true only if the tafeil is an enhancer (see our category above). However, if it is a tafeil because it is a mixture, it receives its regular bracha. Thus, if after making a bracha on cereal, someone decided to add milk and fruit, he recites ha’eitz on the fruit and shehakol on the milk. On the other hand, if he knew he would add fruit and milk when he recited the bracha on the cereal, then they are tafeil to the cereal and he does not recite a bracha on them even though they were not present when he recited the bracha. What should you do if someone brought you a cup of tea and you then decided to add sugar? Do you need to recite a bracha on the sugar? 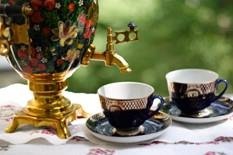 If you usually add sugar to your tea, you do not need to recite a new bracha. However, if you do not, then you will need to recite a bracha on the sugar. Not everything we do in life qualifies as our ikar purpose in life- often we must do things that are tafeil to the more important things in life. However, paying attention to the halachos of ikar and tafeil should encourage us to focus on our priorities in life- and not allow the tafeil things we must do become more important than they are.